Yup! My first road accident with the BMW R1200GS. 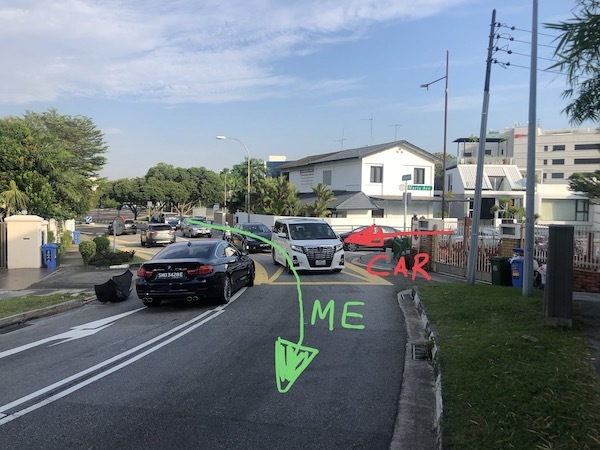 I was travelling along the a dual-lane, single-carriageway (a single lane for each direction of travel) road when a car dashed out from a minor road without checking if it was clear of traffic. He was making a right-turn, and presumably started moving off after only checking for traffic coming from his left. I was on a straight-going road, and the car was emerging from the minor road, presumably ready to make a right turn. Author sgBikerBoyPosted on 3 January, 2019 5 February, 2019 Categories BMW R1200GS, New ExperiencesTags accident, R1200GS accident, R1200GS vs car, traffic accident9 Comments on The BMW R1200GS is one HELLUVA TOUGH BEAST!